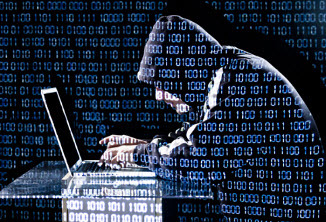 The release revealed that cybercrimes have cost Canadians $3 billion over the last 12 months. According to the latest Norton Report regarding mobile security, cybercrime in Canada has cost $3 billion over the last year, which is an increase of more than double over the $1.4 billion that had been recorded over the previous year. The software security maker, Symantec, reported that more than 7 million people have been victims. The U.S. based company shared in its 2013 security report that more than 7 million people in Canada have been cybercrime victims in the last 12 months, alone. The average cost per victim of these various types of digital crime is approximately $380 percent. The cost of mobile security crimes per victim has also increased for victims globally. It has risen to $113 (USD) over the last 12 months, which means that it cost each victim just over $300. The authors of the report conducted a survey of more than 13,000 people in approximately 24 countries around the world. What it determined was that mobile security, cyber attacks, and the sharing of sensitive information are becoming increasingly common. This increase in cybercrime is occurring throughout many different channels. It involves issues such as mobile security breaches, unauthorized computer access, open Wi-Fi networks issues and identity theft. The report attributes the rapid growth rate to the rise in the use of smartphones and tablets particularly over open Wi-Fi networks. According to Lynn Hargrove, the director of consumer Solutions at Symantec Canada, “The move to mobile is really one of the core findings that we’ve seen and as people have tablets and smartphones, that’s where the cybercriminals are going.” She also pointed out that people just don’t seem to be taking this mobile security risk as seriously as it really is. She stated that people aren’t securing their smartphones and tablets as widely as they do their desktops and laptops. Computers are far more likely to have antivirus programs than smartphones. The online and mobile security report indicated that 60 percent of device users in Canada don’t even realize that there are security programs that are designed for use by their tablets and smartphones. Only one in four smartphone users have some level of free security software and 32 percent of them have experienced a cybercrime in the last year.